Proudly installing Gutter Helmet® in the Southern NJ cities and townships of: Cherry Hill, Washington Township, Medford Lakes, Moorestown Lenola, Cape May, Alloway, Linwood, Ramblewood, Greentree, Springdale NJ and many more. We also serve Northern New Jersey. Don’t let your gutters get clogged again. Talk to the New Jersey gutter guard professionals from Harry Helmet®. Harry Helmet is the official dealer and installer of Gutter Helmet®, a patented gutter guard solution that will prevent your gutters from ever clogging again. 100% Guaranteed! Clogged rain gutters are a threat your home’s roof, siding and foundation. But cleaning gutters can be a nasty chore. With Gutter Helmet®, you eliminate problems caused by clogged gutters without ever having to climb a ladder or pay someone to do it for you. Our seasoned New Jersey gutter guard installers can install the Gutter Helmet® system over new or existing rain gutters. 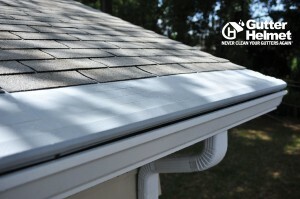 Gutter Helmet® has protected New Jersey gutters for over 34 years. With thousands of Gutter Helmet® installations under our belt, we are the clear choice for gutter guard installations in New Jersey! We also serve townships and cities in Northern New Jersey. Serving Southern New Jersey communities, including Atlantic City, Camden, Trenton, Vineland and many more. Call us today at 1-877-281-7233 or schedule a free estimate online today to learn more about Gutter Helmet®.